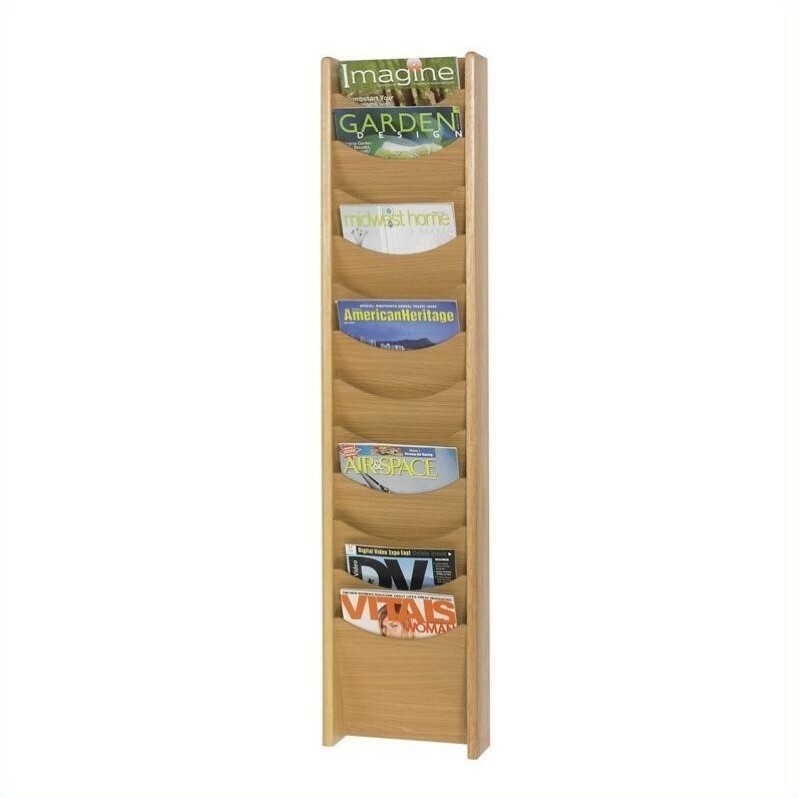 This attractive contemporary hardwood office magazine rack is a stylish means of providing reading materials for your guests. Each of the 12 pockets can hold multiple magazines and feature hardboard dividers, and scoop pocket fronts allow maximum visibility and ease of access. Mounting hardware included.